Getting back to a normal routine after the Holidays can be a bit strenuous. Somewhere along the way workouts were pushed aside for shopping and gathering with friends, and that after dinner cup of hot chocolate became a ritual. Not that there is anything wrong with either of those activities! We need a change up every now and again, and it just makes you appreciate being on track that much more. As much as I look forward to the Holidays I do look forward to a motivating new year, as it really does provide a sense of refreshment and renewal. I love that Bench offers not only performance apparel but straight up lifestyle apparel as well, and that you can combine the pieces to put together some killer weekend wear. Tights, runners, and a tee and I'm set for a run. Tights, booties and a knit cardigan, and I'm set for running errands all over town. Talk about the ultimate versatile brand. Funky tights are an obsession of mine. I do own a fair share of them and it's never enough. 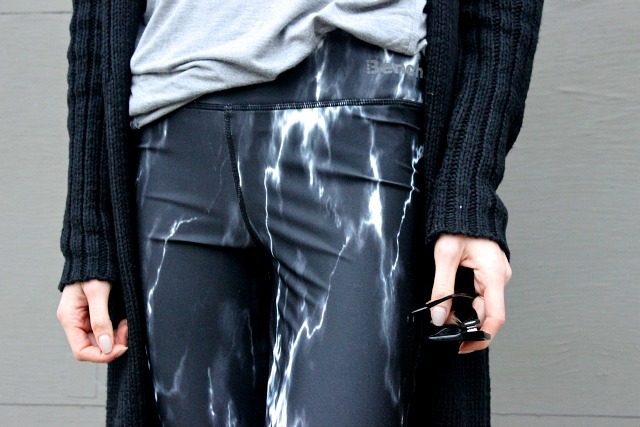 What do you see in this pair-- marble print or lightening bolts? Whatever you see in this pattern it's either hard as stone or fiercely fast, and I'd take being either. And there we have some more automatic motivation, right? Bonus- they are reflective! 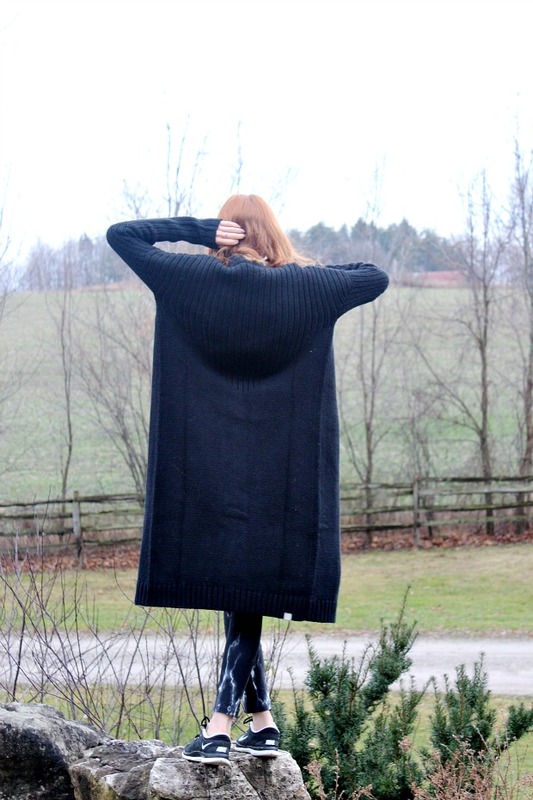 You can also never have enough cozy knits. I knew Bench. offered a wide variety of hoodies and zip-ups, but I wasn't totally aware that they produced such great knits. This sweater is so warm and so versatile since the longer length makes me feel more comfortable, almost like I'm wearing a coat. What do you say-- Are you ready to get back now that the Holidays are almost over? And let me know what do you think of combining active wear with lifestyle apparel. Here are some more tips for getting back on track. That Bench gear looks so versatile - love the sweater!